Equiparts offers a selection of faucet base plates, cover plates, and trim plates in 4" and 8" sizes for a wide variety of faucets. 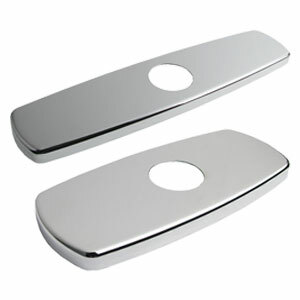 Find base plates, also known as cover plates or deck plates for Sloan, Chicago Faucet, Moen, and Toto faucets easily. 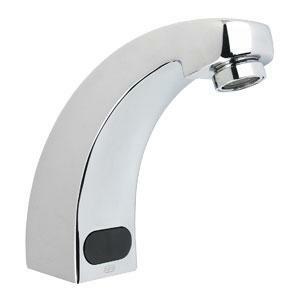 Equiparts is a distributor of electronic faucets by Chicago Faucets. 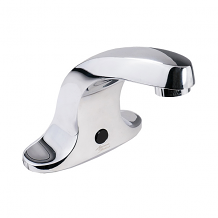 Long recognized as one of the top manufacturers of commercial faucets in the United States, Chicago Faucets is a leading manufacturer of innovative hands-free electronic and sensor faucets. We carry a Vandal Resistant Single Inlet Lavatory e-Faucet and Chicago's state-of-the-art HyTronic Gooseneck Sink Faucet and HyTronic Traditional Sink Faucet with Dual Beam Infrared Sensors. Call us today at 1-800-442-6622 for pricing or to inquire about our Chicago electronic faucets. 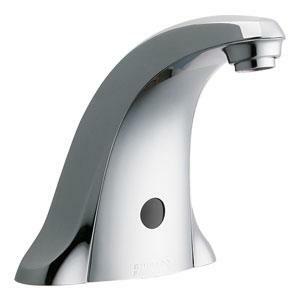 Equiparts carries Zurn electronic faucets. These battery-operated proximity sensor activated electronic hand washing faucets are ideal for public restrooms and lavatories. Zurn electronic faucets come in the following styles: carry 4” Lavatory Faucets, Sensor Lavatory Faucets with 4” Plates & Deck Mounted Sensor Operated Single Hole Faucets. Contact us today at 1-800-442-6622 for pricing or if you have any questions regarding electronic faucets from Zurn Industries. 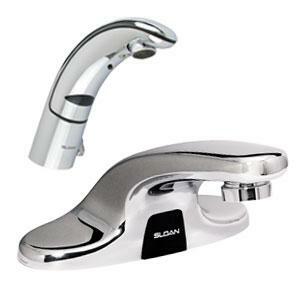 Equiparts is a distributor of Chicago Electronic Faucets, Sloan Electronic Faucets, and Zurn Electronic Faucets. Whether your intent is improved hygiene, better water conservation, or modern style, Equiparts has an electronic faucet for your needs. Call 1-800-442-6622 for pricing or to speak with one of our knowledgeable representatives about our hands-free electronic faucets.